It's no secret that I'm totally in love with the Mercy Thompson series, in fact it's one of my all time favorites! And the best part is that it isn't over yet! 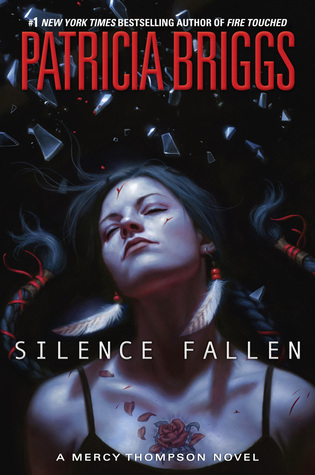 Silence Fallen is the newest installment by author Patricia Briggs and pretty much rocks from beginning to end. This one is done a little differently than previous installments, and is told in the altering view points of both Mercy and Adam, with overlapping time lines. Not many authors can pull of that kind of thing but Briggs really makes it work. We get to follow Mercy as she is thrown into the chaos that is her birthright as Coyote's daughter, and finds herself far from home with only her wits to guide her. Honestly though that is where Mercy excels, when times get tough and it seems like there is no way out Mercy finds a way. Plenty of action, sneaky vampire politics, and even a bit of my favorite, the Marok, Bran. All in all, wonderful read, highly recommended!